The Blitz is at its height. As the Luftwaffe bomb London, Cody McBride, ex-pat American private eye, sees a sinister silver sphere crash-land. He glimpses something emerging from within. The military dismiss his account of events - the sphere must be a new German secret weapon that has malfunctioned in some way. What else could it be? 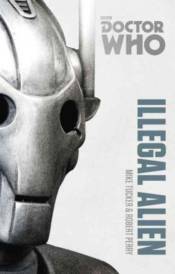 Arriving amid the chaos, the Doctor and Ace embark on a trail that brings them face to face with hidden Nazi agents, and encounter some very old enemies. It is an adventure featuring the Seventh Doctor, as played by Sylvester McCoy, and his companion Ace.